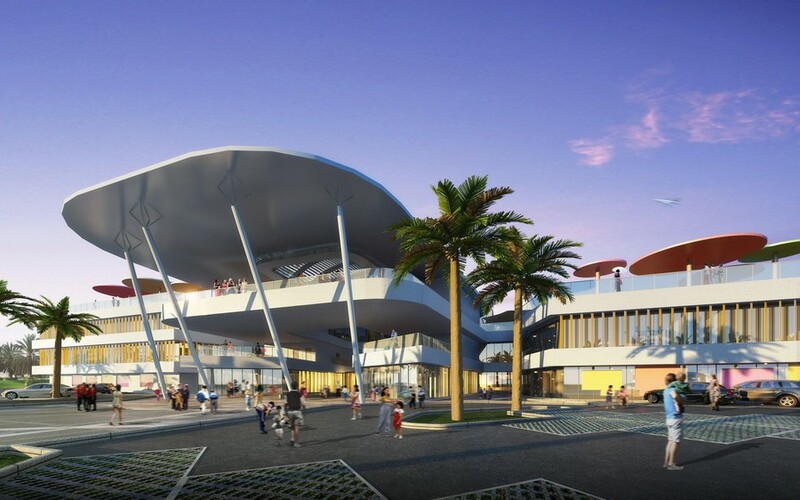 BDP has been commissioned for the relocation of a prestigious primary and secondary school in Jumeirah, Dubai. The relocation of Jumeirah College to Al Khail Road will provide additional facilities for 2,300 students. The new building has already started on site and will be a showcase school for the charitable organisation GEMS Education. The complex contains three main school groups: foundations, primary and secondary, which are designed as schools within schools. These groups are set around the main shared spaces which comprise a 600 seat auditorium, administration elements and a spectacular dining area overlooking sports fields and a sports complex with two swimming pools, a gymnasium and training facilities. The design is a close collaboration between BDP’s London and Abu Dhabi studios, working to an exceptionally tight programme with the first phase of completion, consisting of the foundation and secondary school stages, expected September 2013. The site area is 42,500 sq m and the gross floor area of the three storey school is 30,000 sq m. The construction cost is in the region of USD 45 million.